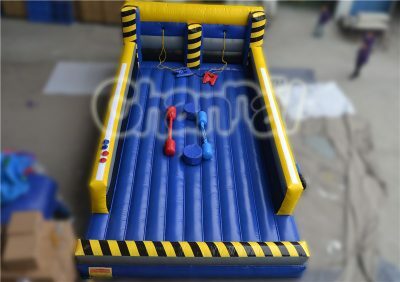 Gladiator joust is an inflatable game that two opponents stand on their own padded pedestals on the inflatable jousting arena, wearing helmets, holding padded jousting sticks or poles, trying to knock off each other from their position. 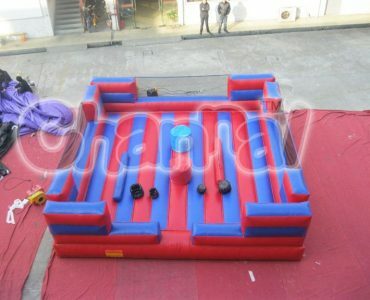 It is a game of strength and balance, use your force and skill, fight like a knight. 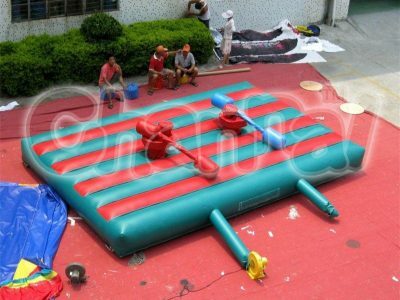 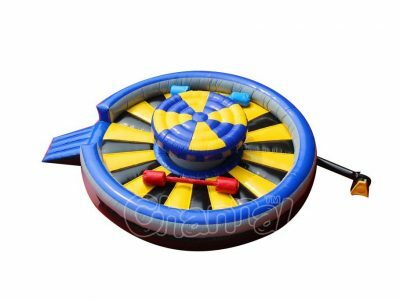 Inflatable gladiator jousting duel game fits into any parties, carnival, holiday events for both kids and adults. 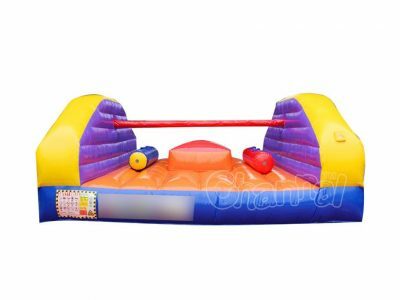 The weapons are inflatable jousting sticks, they are foam padded and soft. 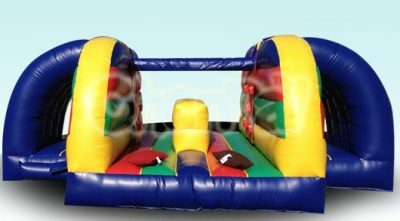 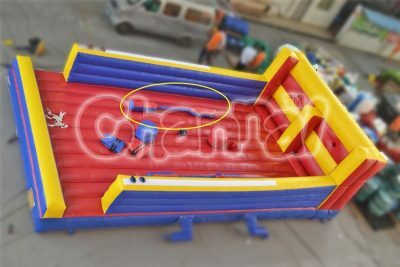 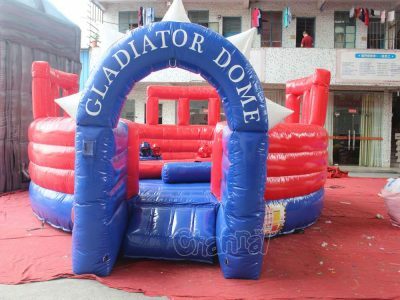 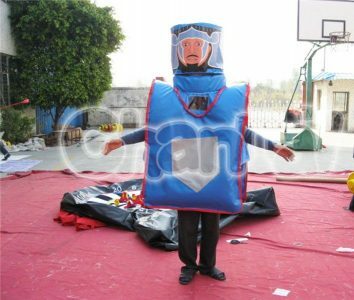 Channal is a professional inflatable jousting bounce house manufacturer in China, you can buy and customize your own joust at a reasonable price. 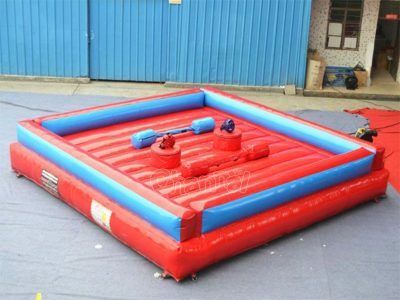 Or perhaps you prefer fighting on blow up wrestling ring.